No-Rise Cinnamon Rolls perfect for those lazy summer mornings. If you’re looking for that perfect cinnamon roll recipe, you are in luck. Not only are these the fluffiest, softest rolls, but they are the easiest I’ve ever made and they turned out JUST AS DELICIOUS as bakery fresh cinnamon rolls. This, my friends, is my new go-to cinnamon roll recipe. In a large bowl, mix the flour, sugar, baking powder & salt. 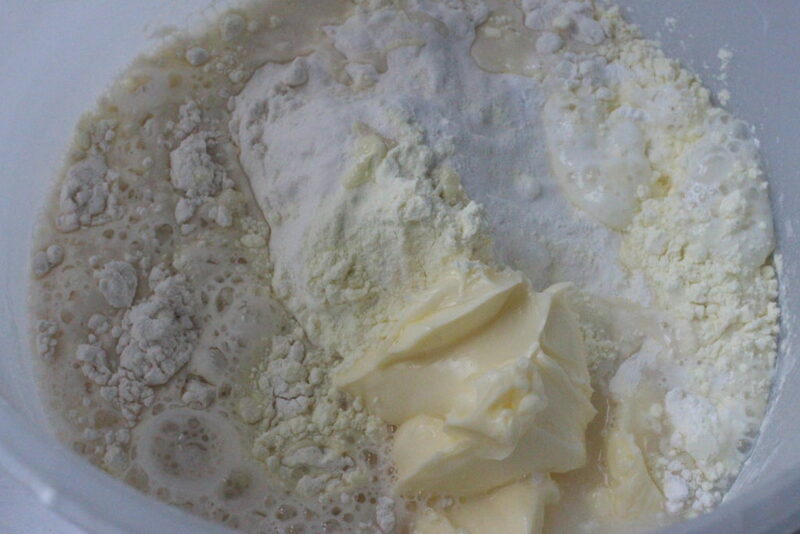 Add the cold buttermilk all at once and mix until dough forms a ball. Let the dough sit. In a separate bowl cream the butter then blend in the cinnamon & sugar. 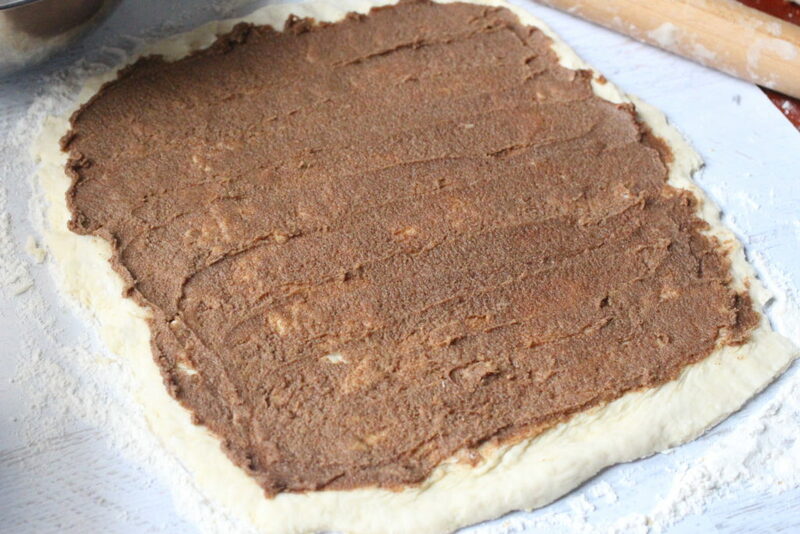 Spread the cinnamon mixture all over the dough. 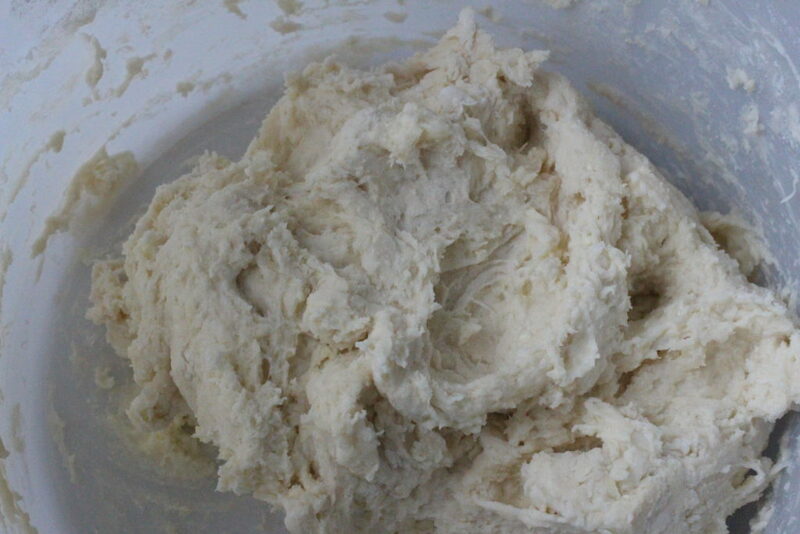 Roll the dough tightly and cut into 2 1/2″ pieces. Place in a lightly greased pan and get ready to pop them in the oven. Bake 18-22 minutes, until golden brown. While the cinnamon rolls are cooling, whip together the cream cheese drizzle, adding more sugar for a thicker drizzle, or more corn syrup for a lighter drizzle. I do have to tell you that this cream cheese icing is to die for! I could lick the bowl, it’s that good. Serve warm for an extra special treat! 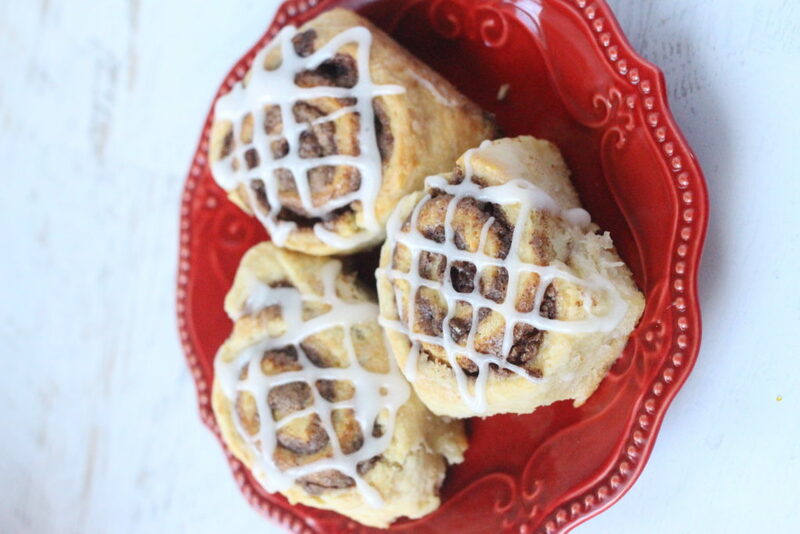 No-Rise Cinnamon Rolls …pin now, bake later! 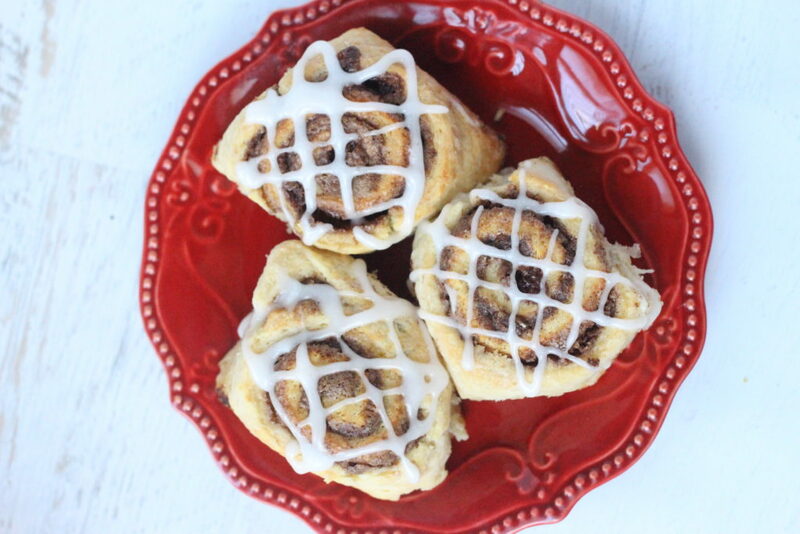 These delicious, no-rise cinnamon rolls. You don't need to mess around with yeast or wait for the dough to rise, making these perfect for a special breakfast or a last minute coffee date. Light, fluffy rolls with a decadent cinnamon-brown sugar filling and cream cheese drizzle, you're going to love this recipe! 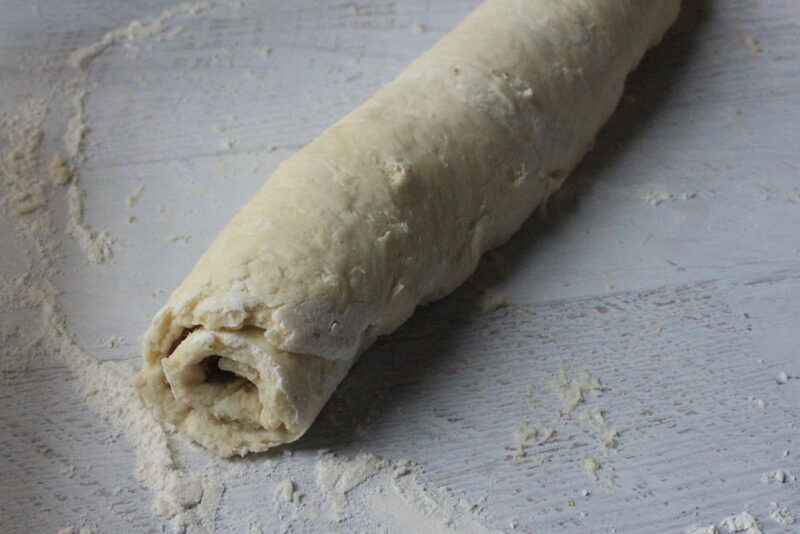 Roll dough onto a lightly floured surface, into a large rectangle. 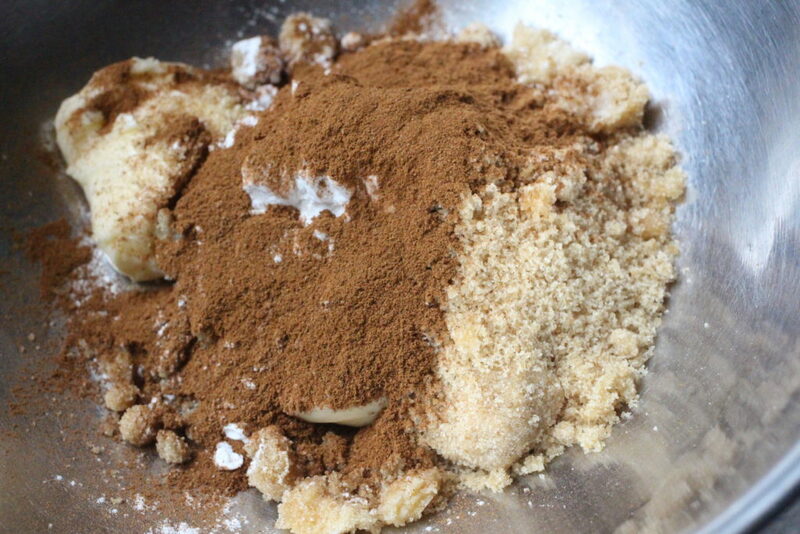 In a separate bowl, mix together the cinnamon filling ingredients. 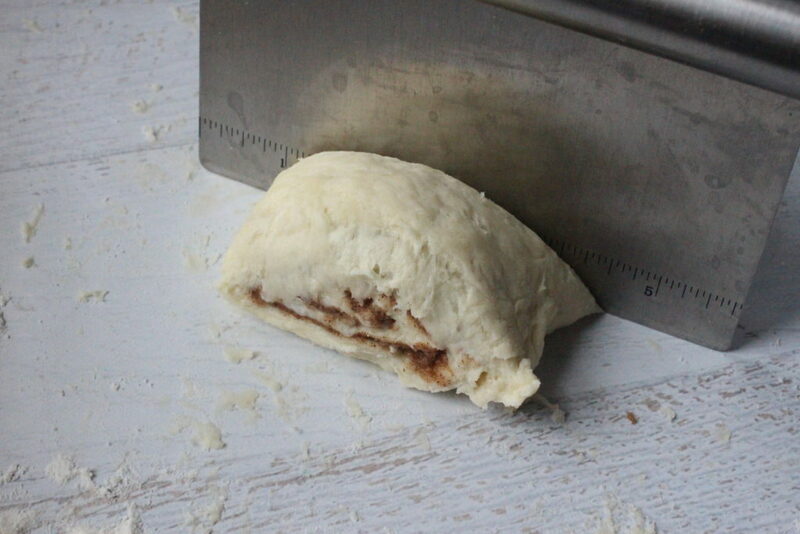 Spread evenly overtop of cinnamon bun dough, then roll the shortest ends toward each other. Cut the cinnamon bun log into 2-3" pieces and place in a buttered casserole dish. While the cinnamon buns are cooling, whip together the cream cheese drizzle, adding more sugar for a thicker drizzle, or more corn syrup for a lighter drizzle. Want something a little sweeter? Swap out the cinnamon filling for Strawberries! Oh and by the way, if you can’t eat them all in one day they last quiet a while in the fridge, just microwave them for 30 seconds and they taste like you pulled them out of the oven. I know you want one…. What is your favourite cinnamon roll recipe? I have the worst luck with cinnamon rolls something about the rising part. These are just up my alley. 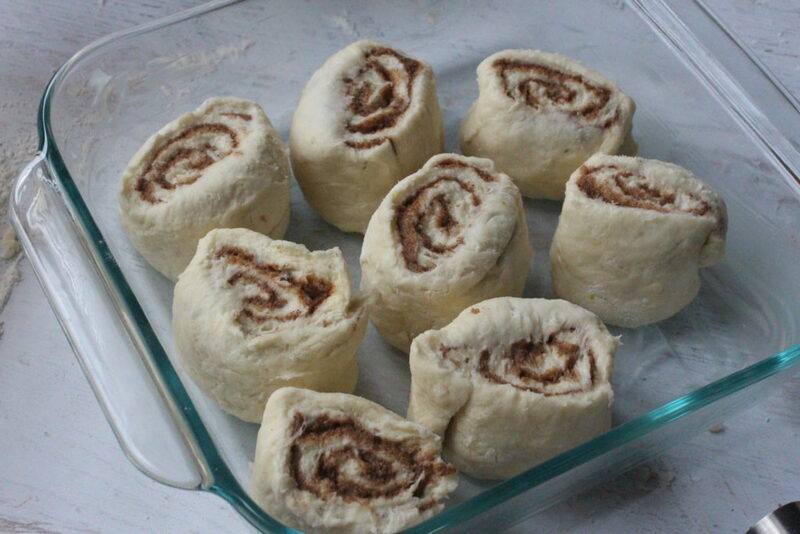 I’ve never made homemade cinnamon rolls before but I think I’m going to have to try these. My family loves them and there’s nothing better than homemade. My family loves Cinnamon rolls on the weekends but I have never made homemade ones before. These look super simple and yummy, I will have to try them soon! Wow these look so amazingly delicious I can’t wait to make a batch. Since they are no-rise, I wonder just how dense they are. Not necessarily a bad thing, just can’t eat as much! These rolls look delicious! The last time I made cinnamon rolls they loved it. And this is a perfect time to try a new roll recipe! You made these from scratch? Wow! I bet they tasted amazing! We only make the ones that come already prepared in the tube but I’m sure it’s doesn’t compare to these. I can almost smell them! YUM! My daughter asked me this past weekend to try to make a from scratch roll, I said it was too much work, after looking at your pics and recipe- I think I can, I think I can! These look GREAT! These look so yummy and easy to make. I must try making some in the near future for the kids thank you. I have never made cinnamon rolls on my own. My kids love them so this looks like a great recipe for me to try! Yours look so good and fresh. I have never made my own cinnamon rolls but I imagine I’d love this recipe. They often look too processed if you buy them at stores. I’d take these anyday! Oooooo these rolls look absolutely to-die-for!! Cannot wait to try this delicious recipe with the family. 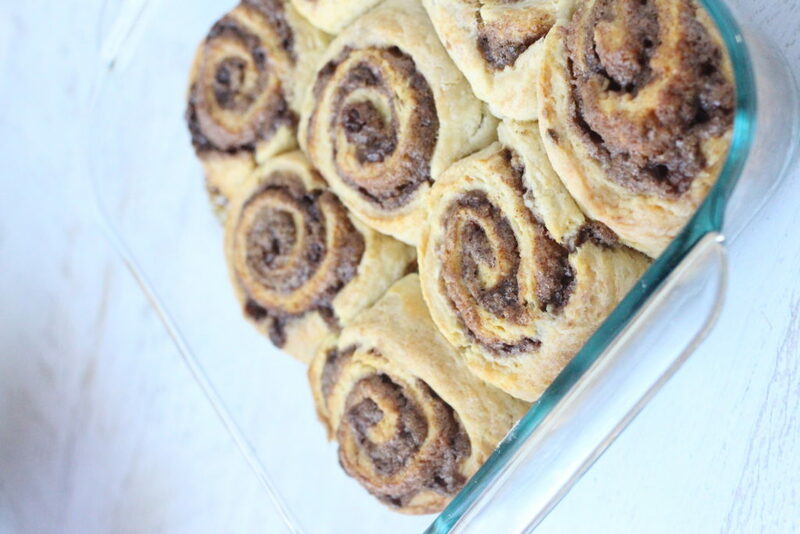 I’ve never made my own cinnamon rolls but these pictures look so delicious that I think I need to give this recipe a try! Oh stop it, you’re killing me. Cinnamon rolls are one of my downfalls. I could eat a whole pan full. And I just might when I try your recipe. Yum! I love cinnamon rolls and your recipe looks so tasty. Perfect to eat with my morning coffee or afternoon snack. I definitely gotta try this. This is my kind of recipe! I like you do not have to use yeast. This would be a perfect weekend morning breakfast! Now that is the perfect way to wake up on a weekend. I shall surprise my son with these! This looks amazing. My youngest daughter loves to bake and we haven’t tried cinnamon rolls yet. Now we will! I have never made cinnamon rolls at home. These looks pretty easy – and tasty! Cinnamon rolls are my absolute favorite snack/meal! I like to add a little cardamom to them in addition to the cinnamon! I love cinnamon rolls! Those look like a perfect way to start the day! Yuuuuuummmm! This looks like it’d be fun to make with the kiddos! I’ll definitely have to try this out! If it’s one thing that I really love for breakfast it’s a good cinnamon roll. I never knew how to make them from scratch though. Thanks for filling me in! Oh my, this looks absolutely delicious!!! And you’re right, this is perfect for a lazy weekend morning!! 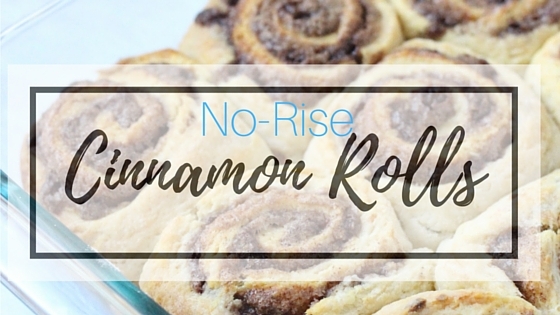 I love making homemade cinnamon rolls, but I have to say that a no-rise recipe is kind of a total game changer! These look and sound pretty darn tasty. Those not only look yummy but easy enough for me to do. Very cool! Cinnamon rolls are my favourite snack with a hot cup of coffee.